BRYAN EATON/Staff photo. 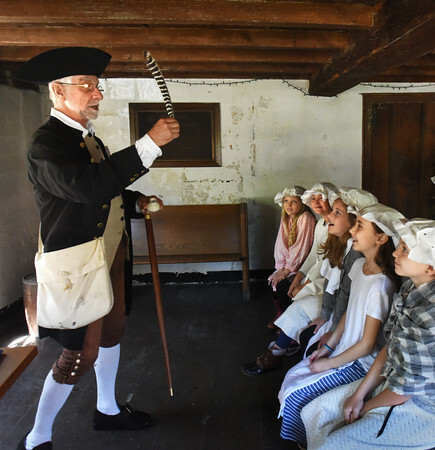 Michael Welch, a museum teacher and historical reenactor shows a quill pen to students from the Bresnahan School in Newburyport in a one schoolroom replica at the Swett-Ilsley House in Newbury. The students are learning about Colonial history and were visiting the various local sites owned by Historical New England.